These are three of the four raffle baskets I’ve prepared for the upcoming readers’ conference I’m attending! 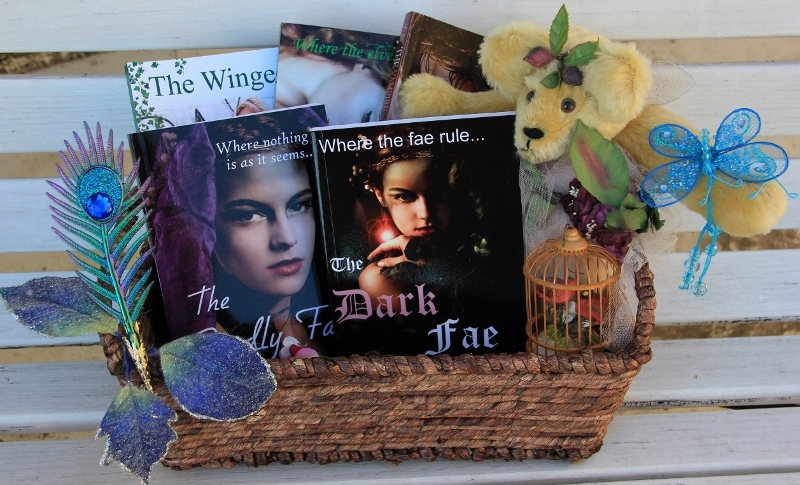 🙂 In the first, these are all my young adult books, and the mohair bear is one of my creations. In the second one, these are all Highland romance books, and one lovely Irish western romance, donated by: Vonda Sinclair, Victoria Roberts, CH Admirand, and me! Victoria also donated a lovely t-shirt for the winner of the raffle basket! And the bear is one of my Celtic bear creations. In the third basket, we have historical romance books from Christy English, Brooklyn Ann, Samantha Grace, Mia Marlowe, Shana Galen, and me! And a artist-created porcelain doll! Highland Rake on sale for two more days for 99 cents, regularly $4.99! Fabulous! I wish I was going!!! I wish you were too! We could have fun! It will be so much fun, Lois! Can’t wait! Yes, as far as the reads! Perfect getaway before the holiday rush!